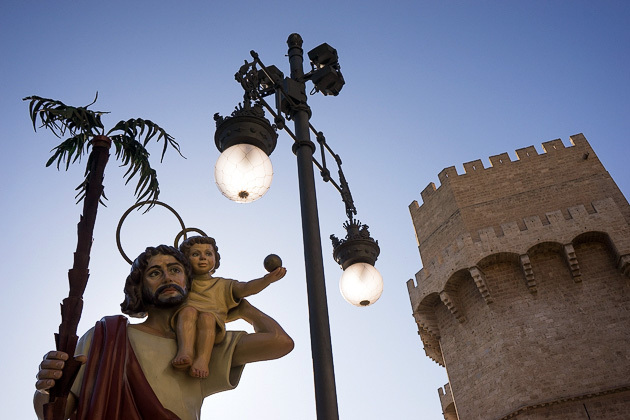 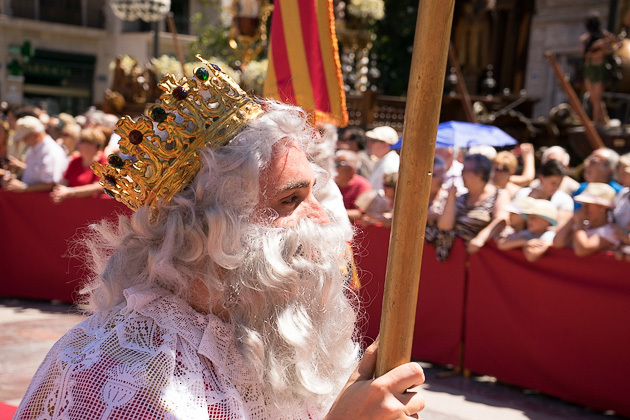 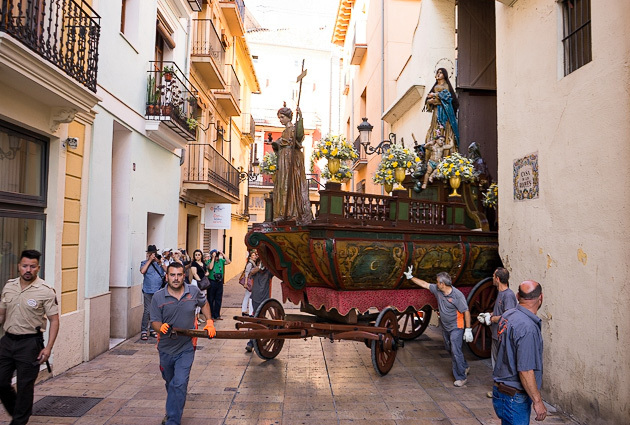 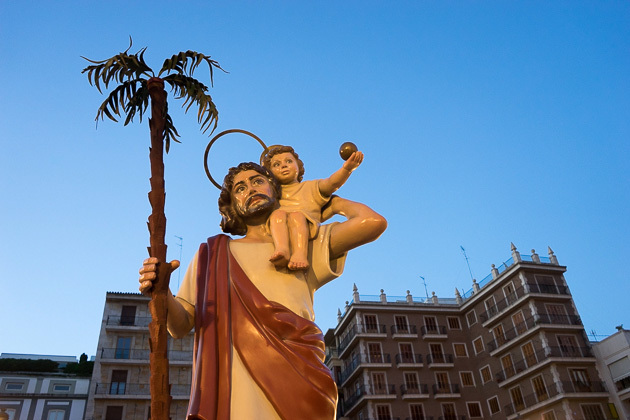 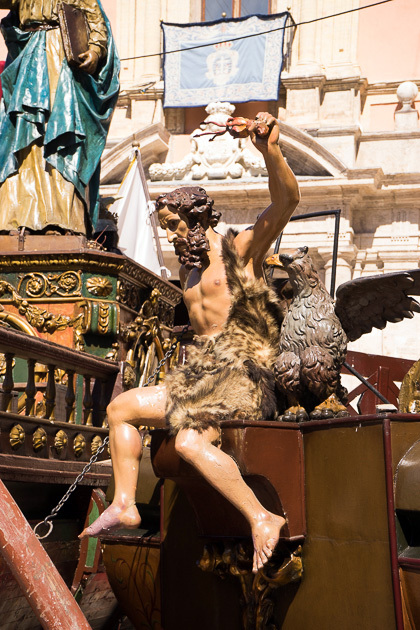 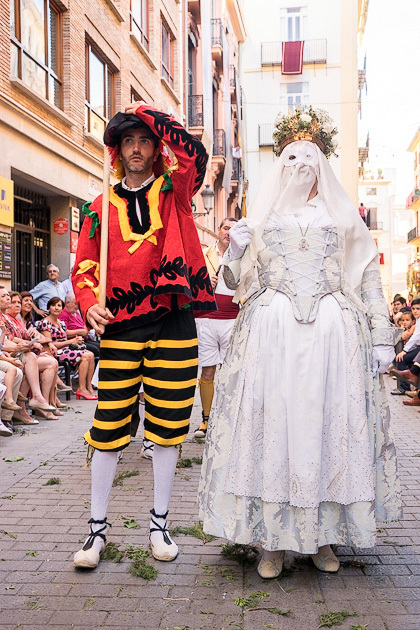 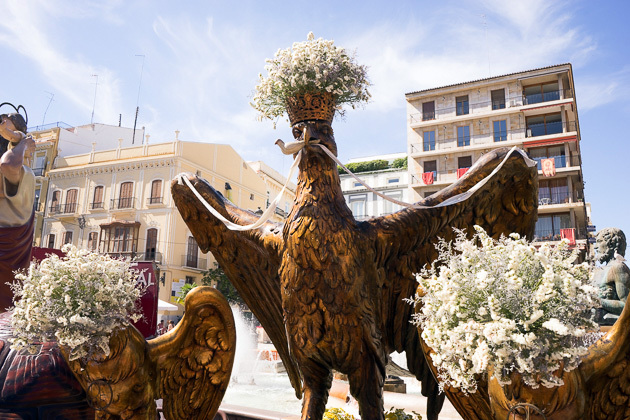 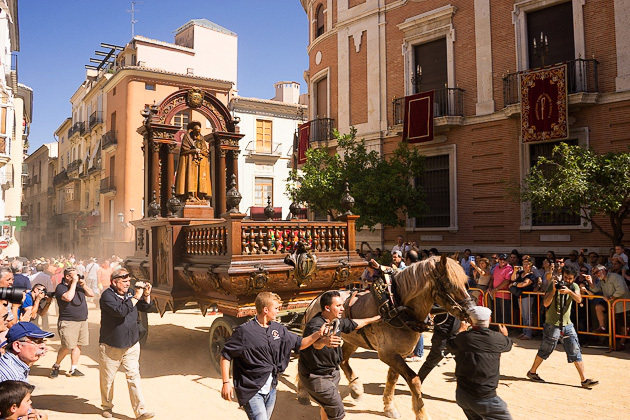 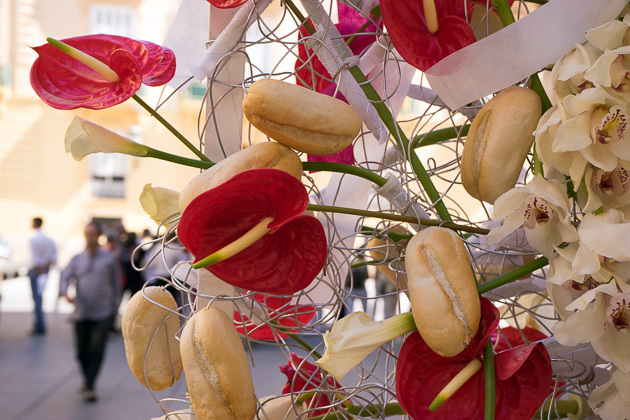 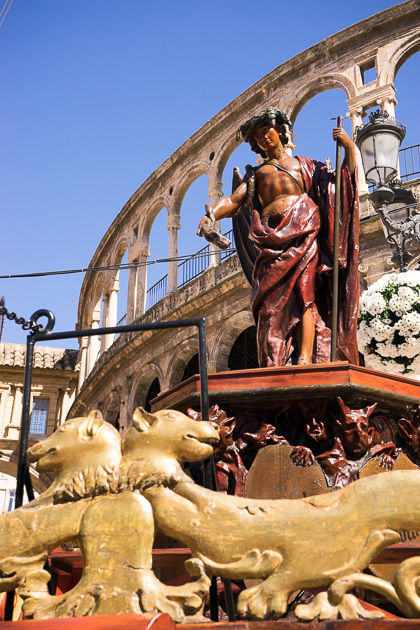 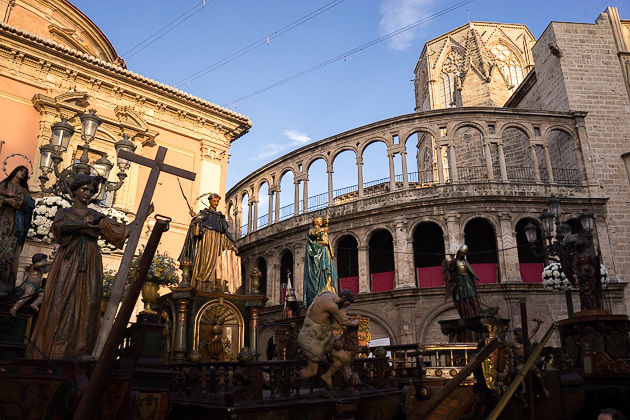 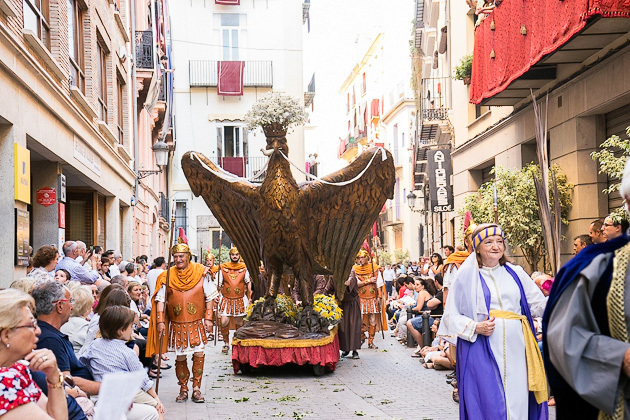 With a history reaching back to 1263, Corpus Christi is perhaps Valencia’s oldest festival, and remains one of its most popular. 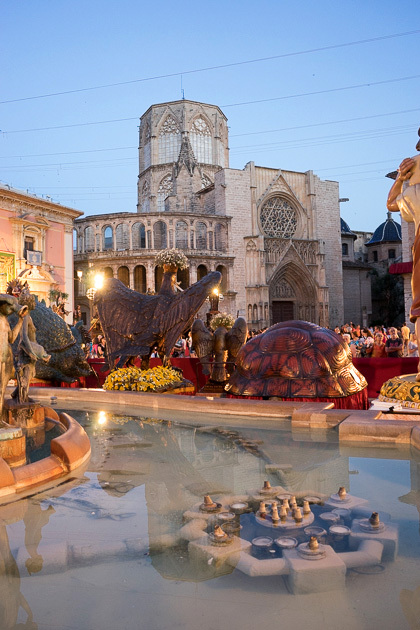 Occurring 60 days after Easter, the festival is held in honor of the Eucharist, but really it just provides another excuse for Valencians to get out on the street and have a good time. 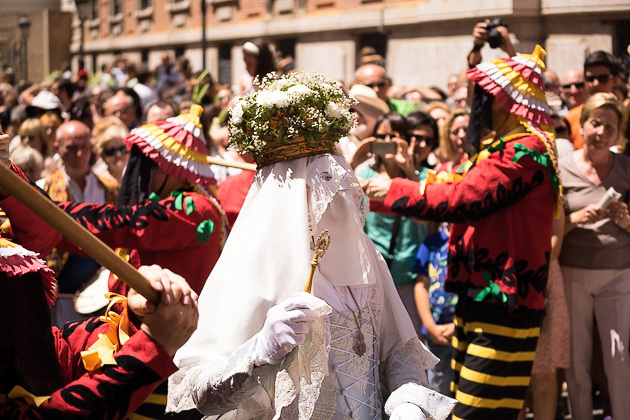 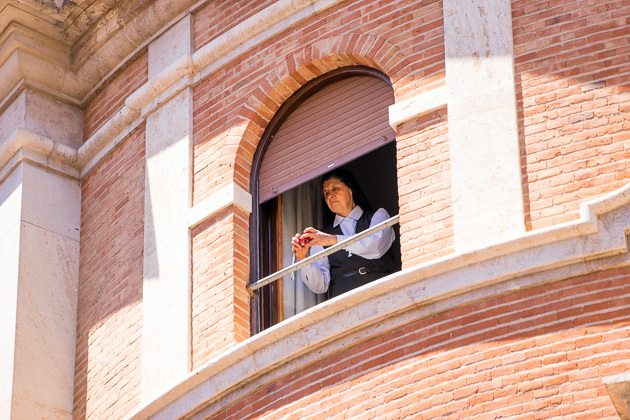 Although the festival of Corpus Christi officially stretches out over four days, all of the main activities occur on Sunday. 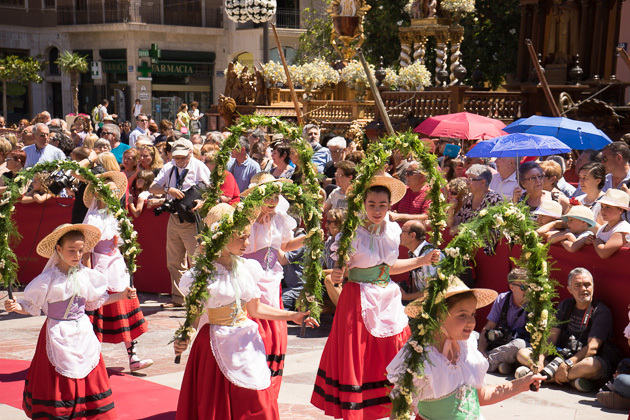 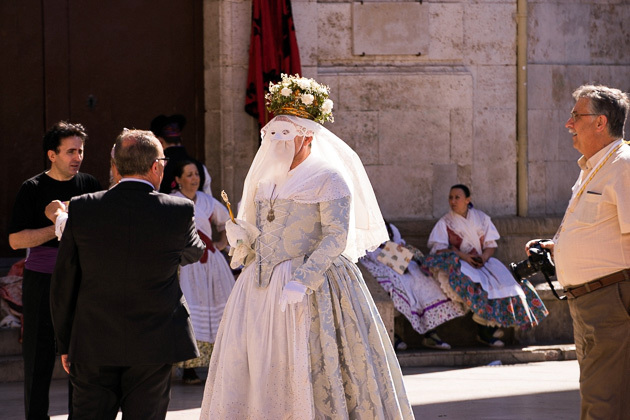 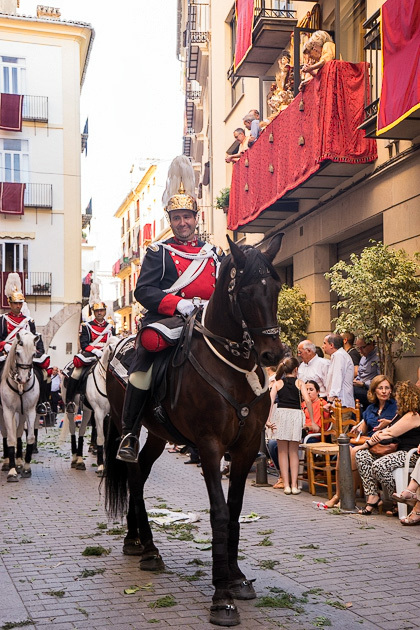 Starting things off is the Cabalgata del Convite, a lively procession which begins at noon, and leaves from the Plaza de la Virgen. 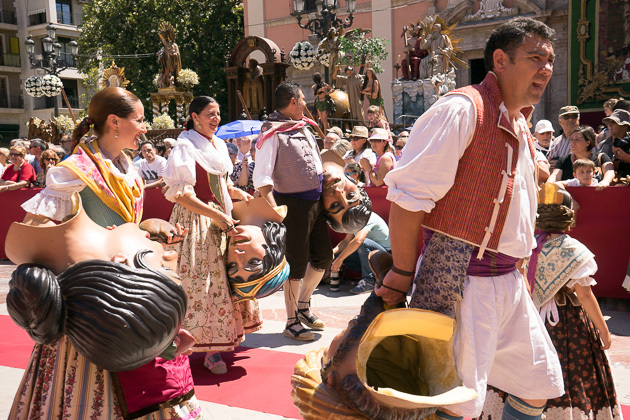 With its colorful cast of characters, traditional dances, and elaborate costumes, it’s quite entertaining. 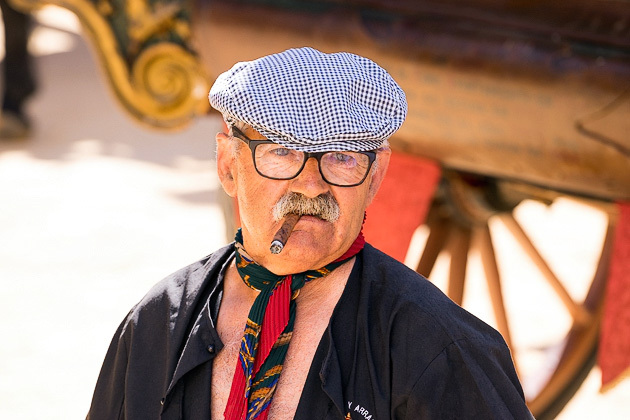 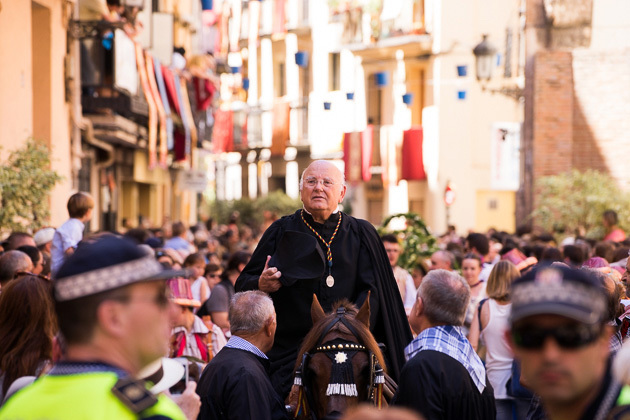 The cabalgata is led by the El Capellá de los Roques, an elderly gentleman who sits atop a small horse and calls the citizenry out to join the celebration. 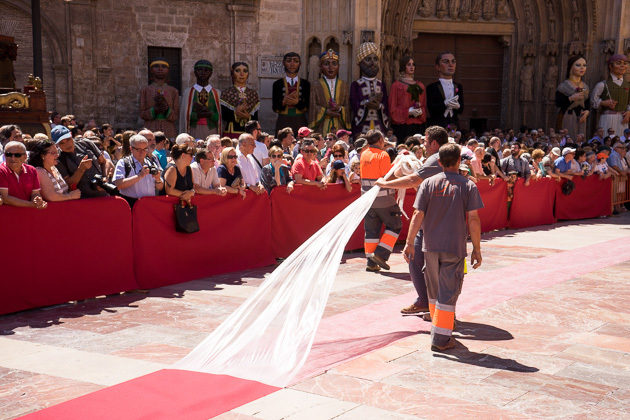 He always wins huge cheers from the crowd, as well as some laughs, since he’s constantly sliding off his silk-robed horse. 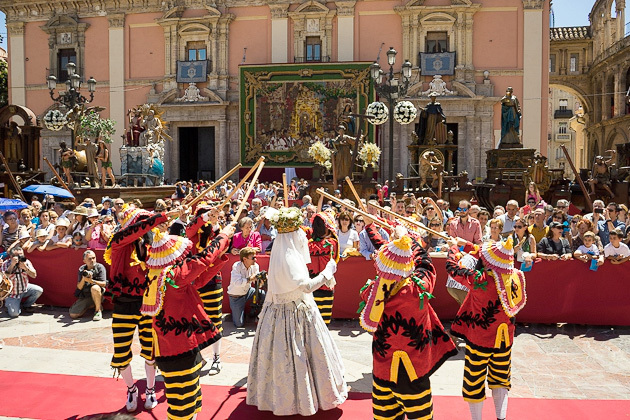 Following El Capellá is a long sequence of costumed troupes performing traditional dances. 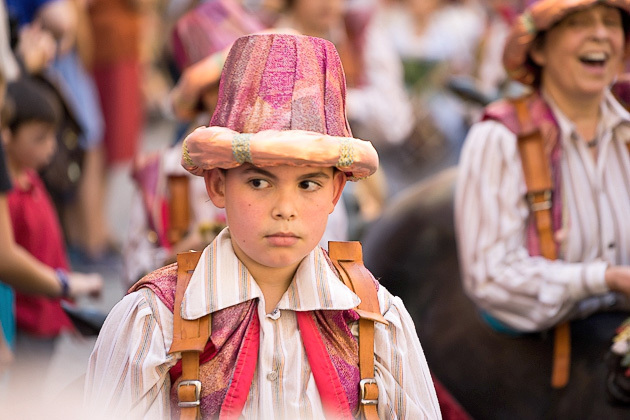 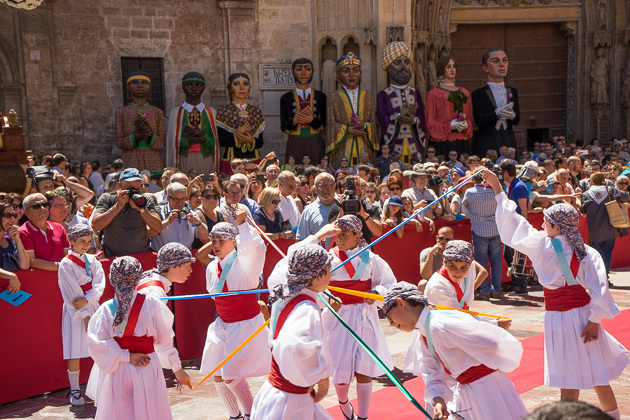 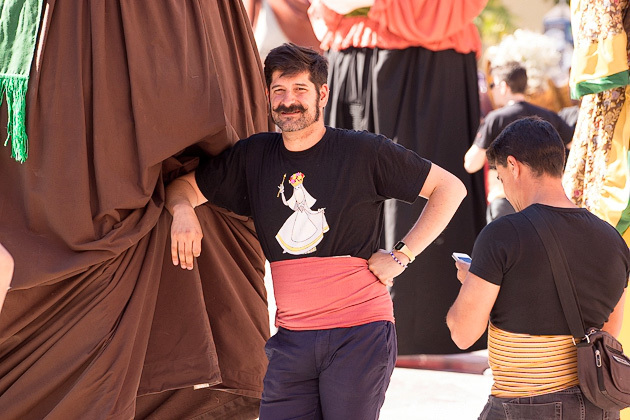 There are Els Arquets, who are girls dancing with arched branches; La Magrana, which is like a maypole dance; and Els Pastorets, a group of boys dancing with canes. 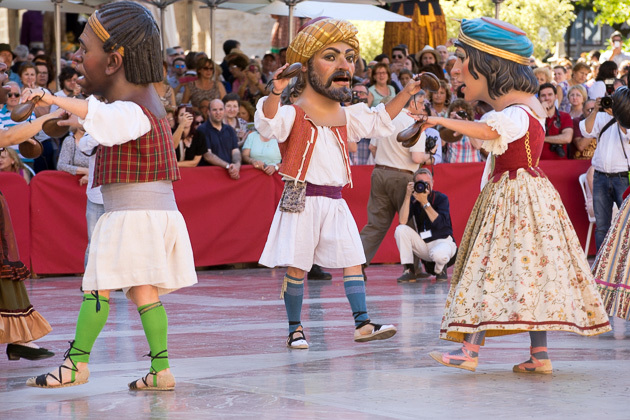 Another fun performance is put on by a group wearing heavy, over-sized masks, and clicking giant castanets. 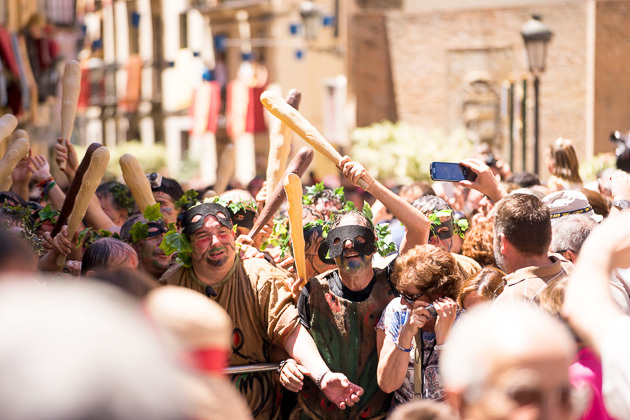 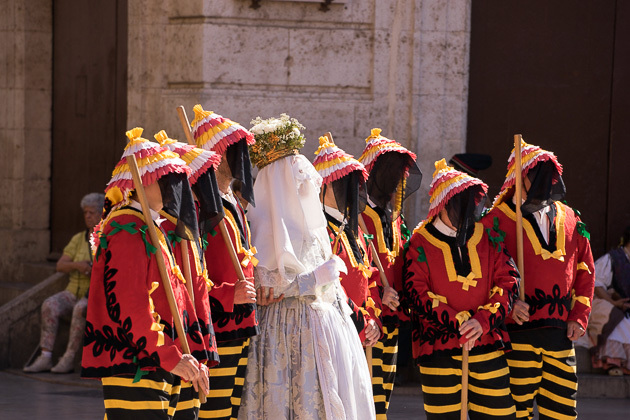 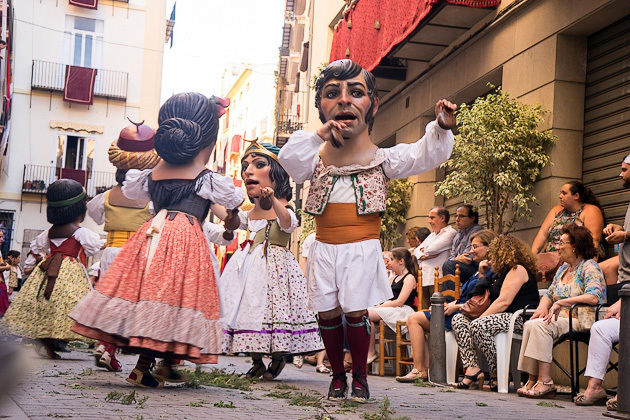 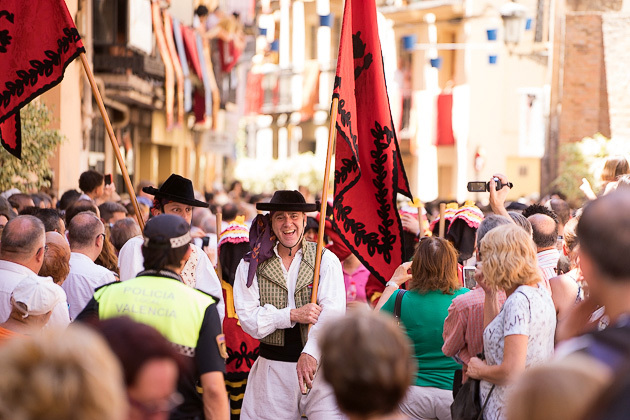 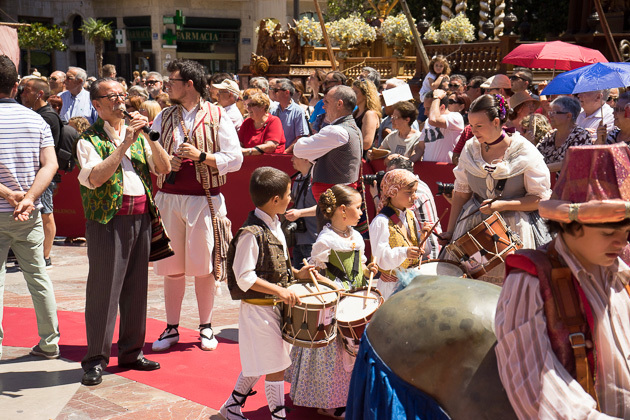 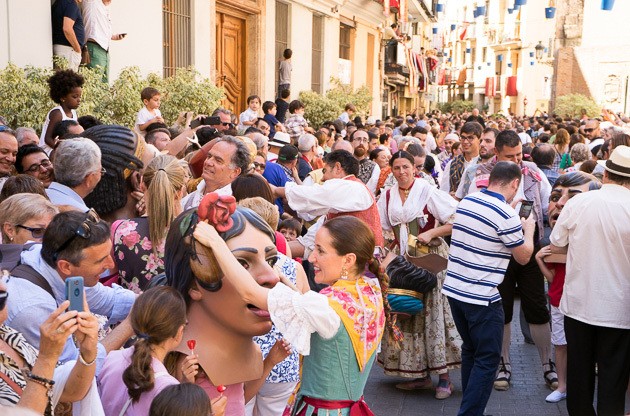 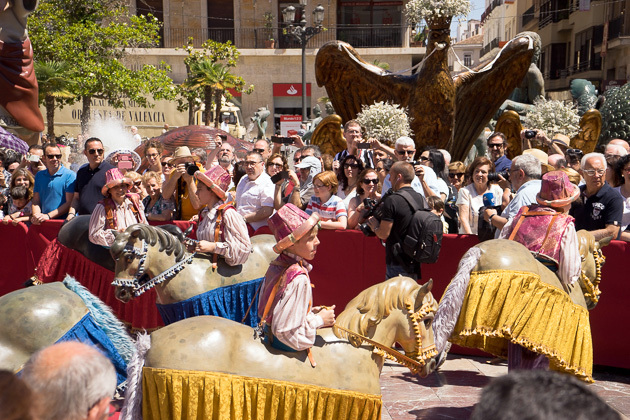 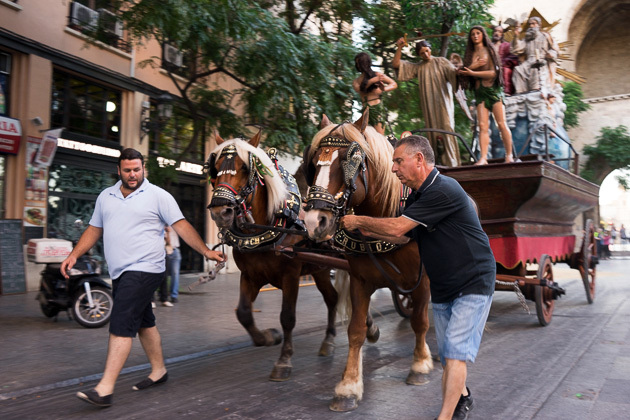 The wild culmination of the noon cabalgata is La Paolà, which occurs on Calle Avellanas. 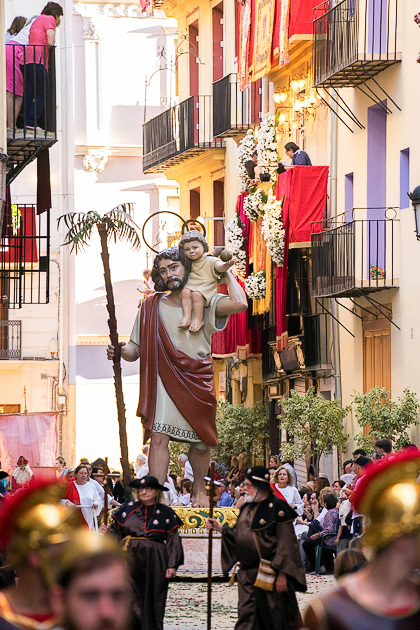 A mean-looking legion of men are dressed like the Roman soldiers who would go door-to-door, killing the first-born son of every household. 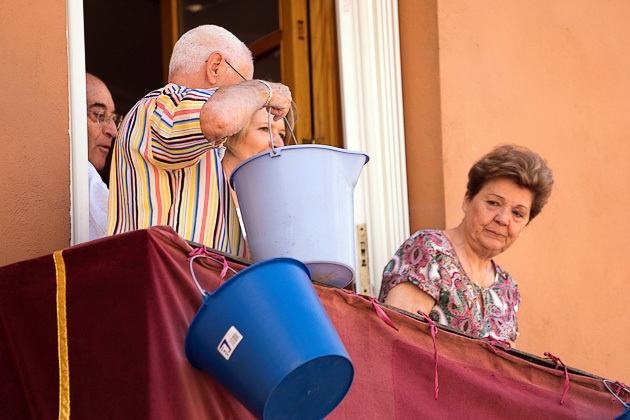 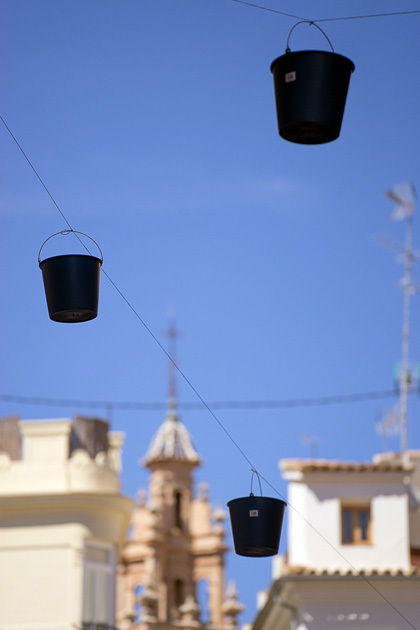 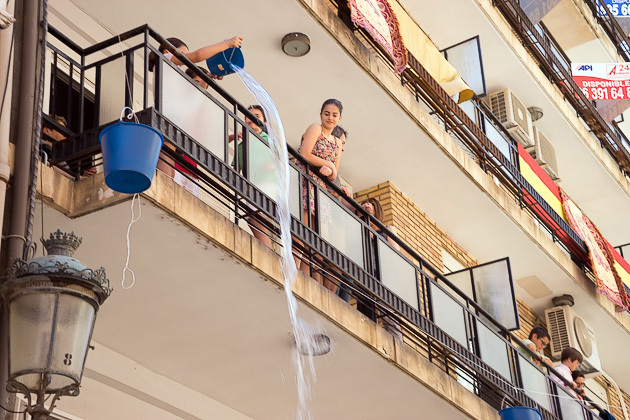 The neighbors of Calle Avellanas greet these villains with incessant buckets of water. 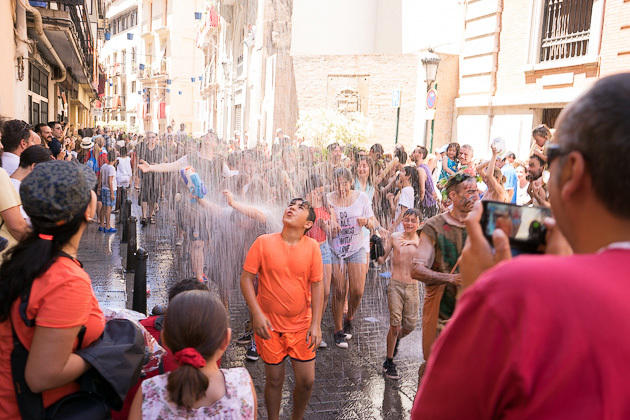 Inevitably, La Paolà turns into a party, as kids can’t resist rushing out into the street to get soaked themselves. 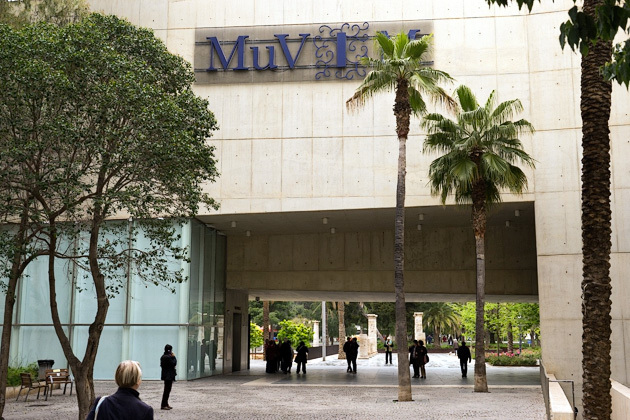 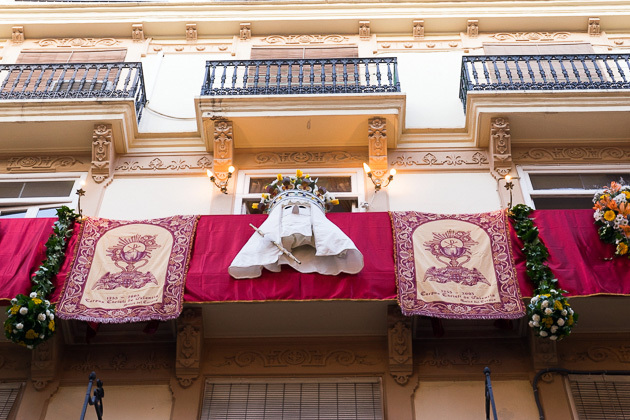 The next event of Corpus Christi begins at 16:00, with the Procession of the Rocas. 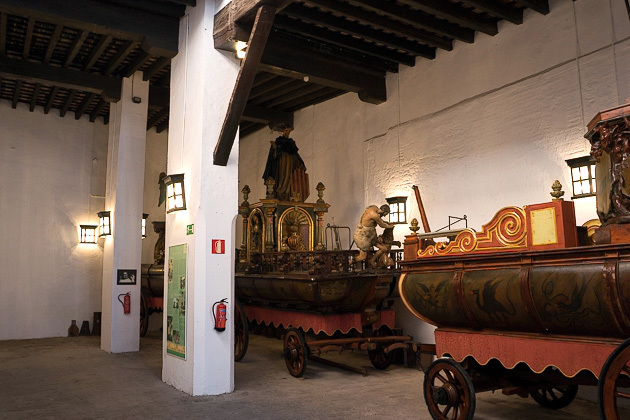 Las Rocas are heavy wooden carriages, some of them over 500 years in age. 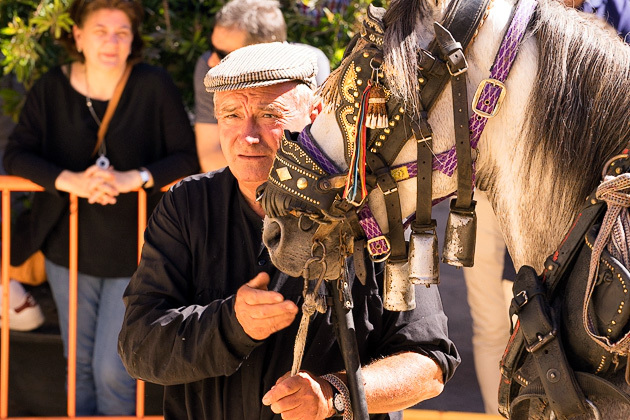 Each one is pulled by two small horses, who seem determined to finish their jobs as quickly as possible. 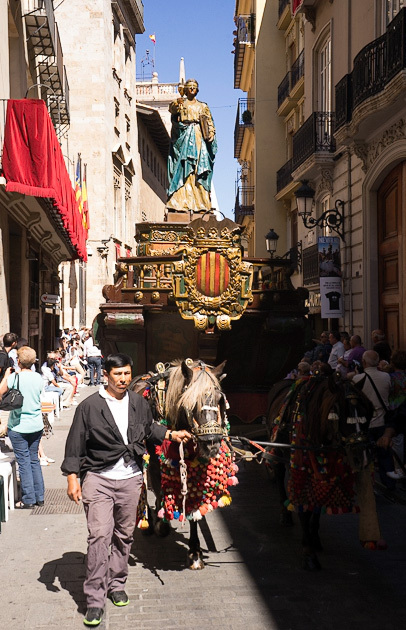 This is a fast-moving parade, and as these ancient works of art rumble down the cobblestone streets, they shake so violently that it’s hard to believe they don’t fall apart. 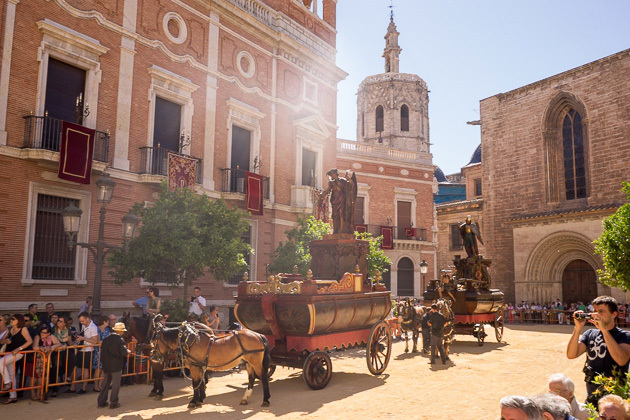 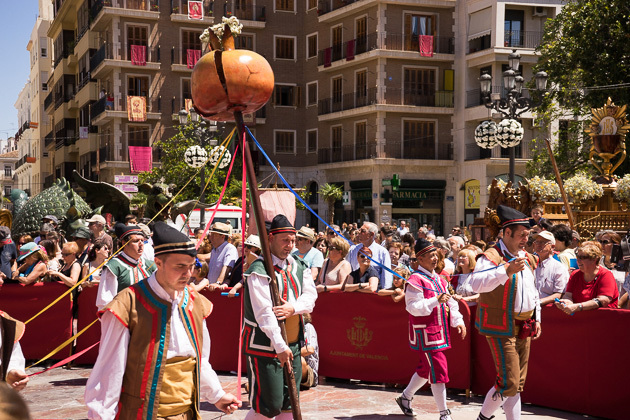 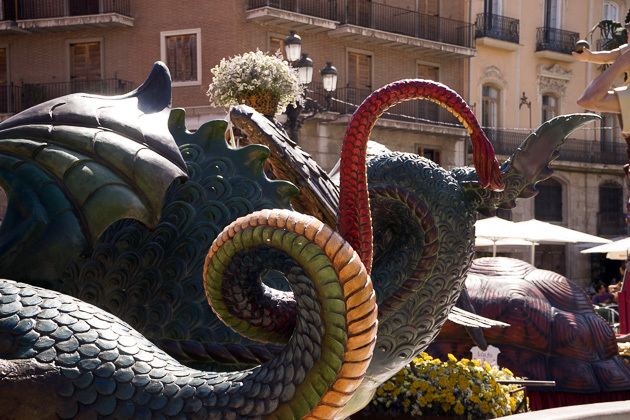 The finale of the Procession of the Rocas occurs in the Plaza de la Almoina. 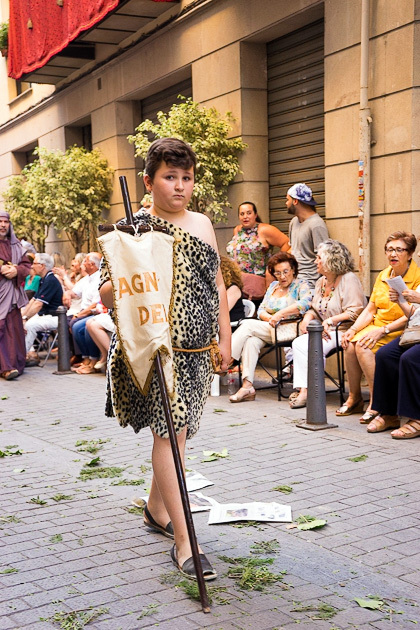 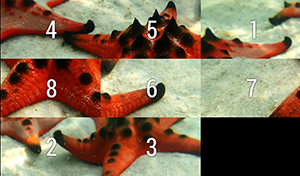 If you’re adverse to animal cruelty, you might want to skip this one. 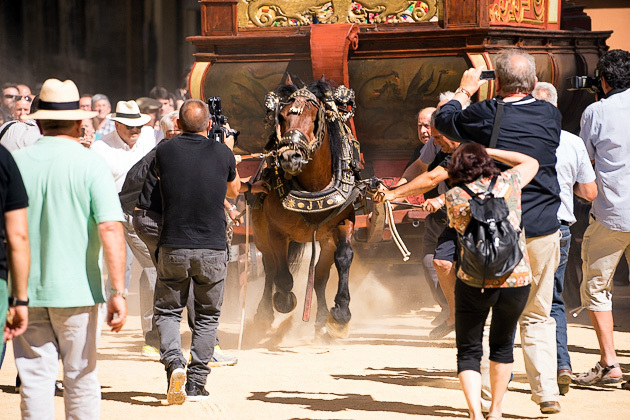 Just before the final ascent, one of the horses is unshackled from each of the Rocas, leaving the other unfortunate beast to manage the burden on its own. 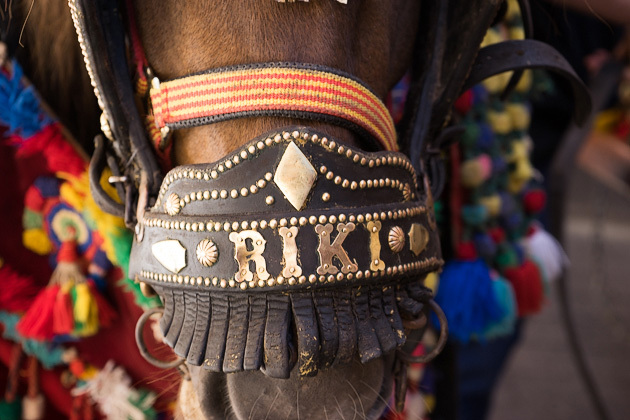 There’s not much of an incline, but it’s in a curve, and the little horses have serious problems negotiating it. 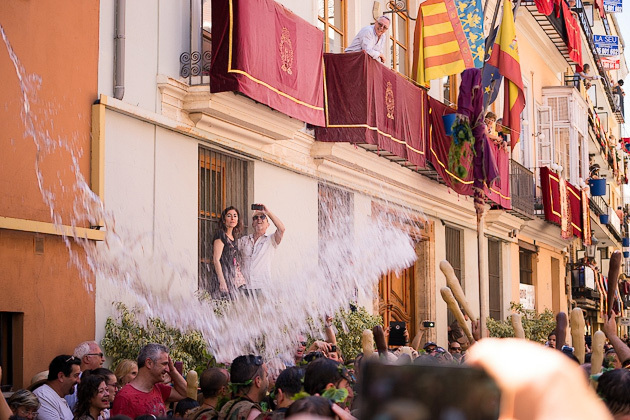 They’ll slip and fall and panic and bray, but, encouraged by the crowd’s cheering (and their handler’s whipping), they almost always make it to the top. 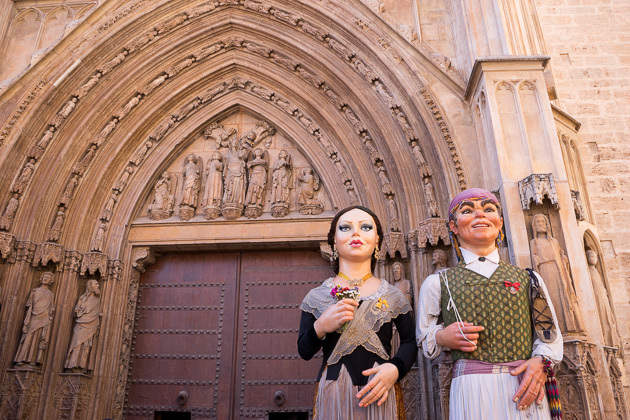 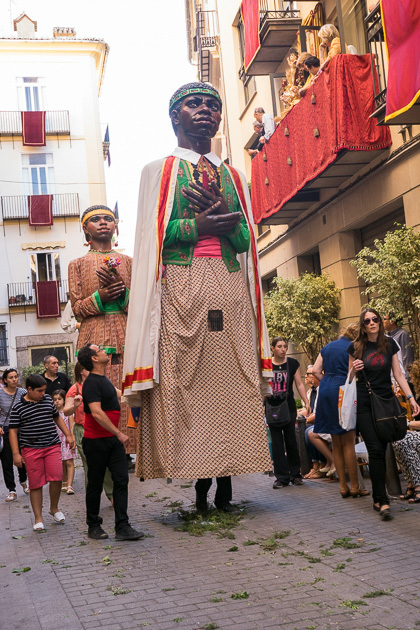 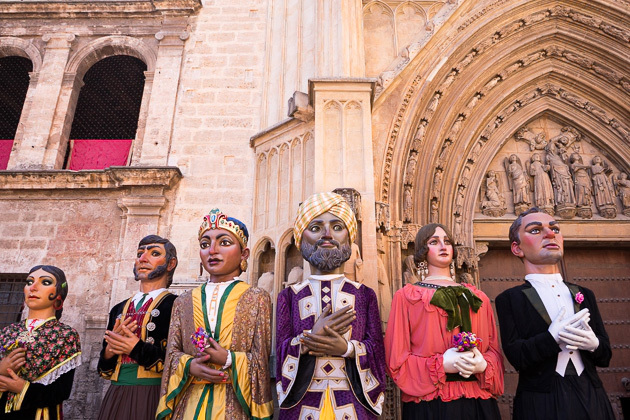 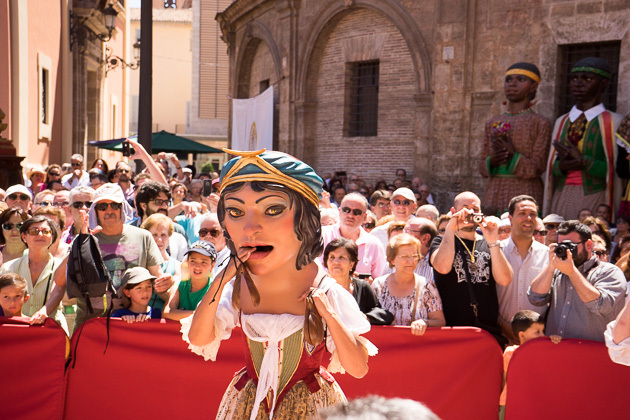 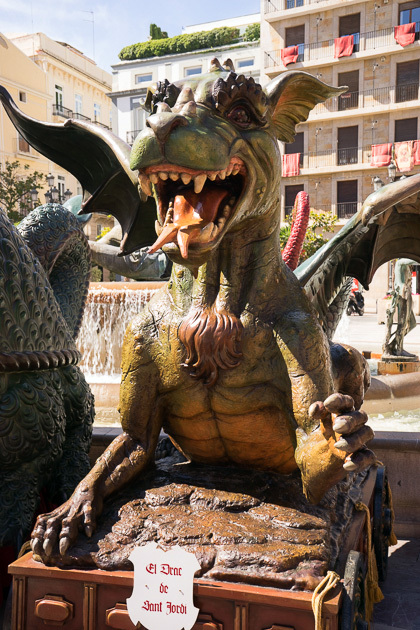 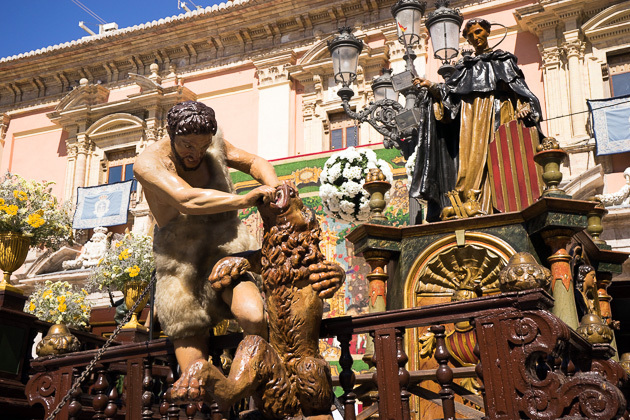 At around 5:30pm, the Plaza de la Virgen is occupied by Els Gegants, massive giants about five meters in height. 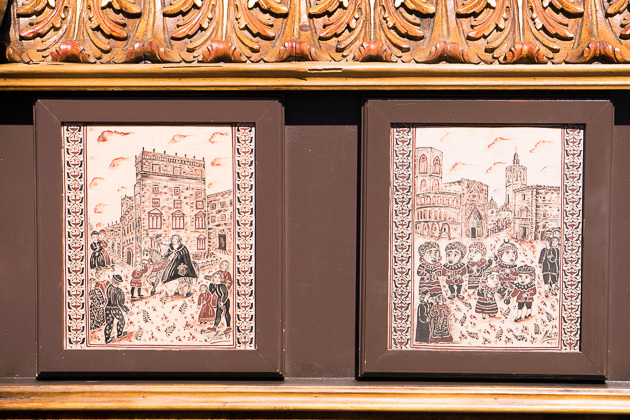 Meant to represent the spread of Catholicism to the various corners of the world, there’s a pair of Valencian Falleros, Arabs, a dapper-looking Victorian couple, and two from Africa, all of whom dance slowly around the plaza to the tunes of a marching band. 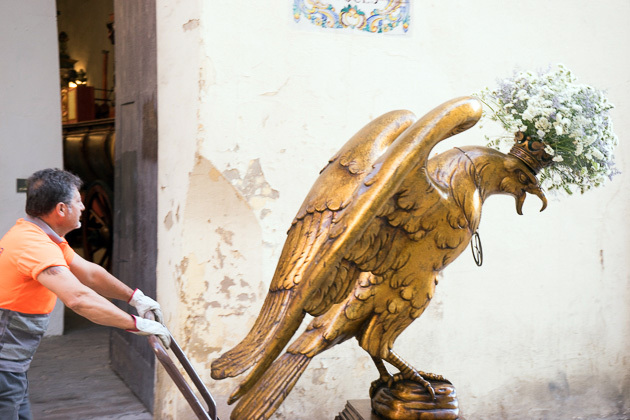 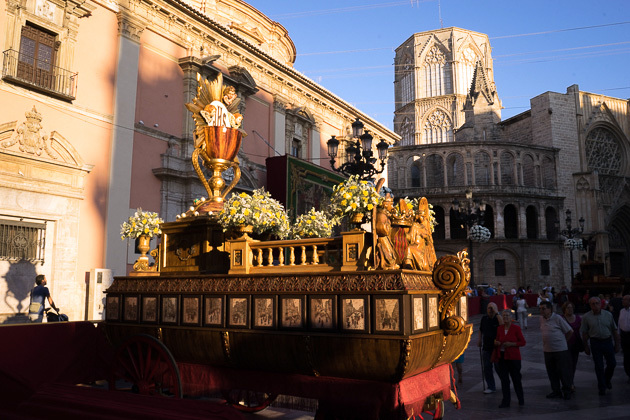 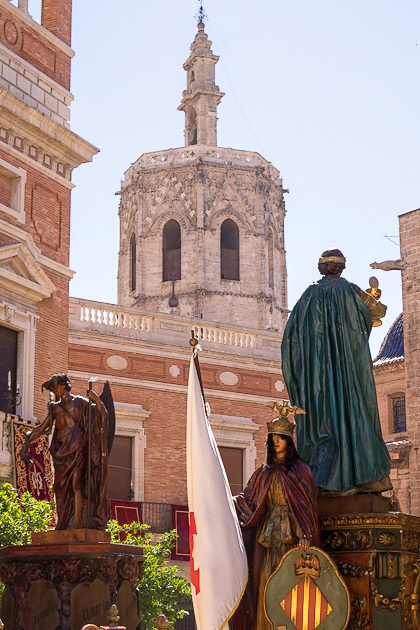 The final event of Corpus Christi comes at 7pm, when a solemn procession sets off from the Plaza de la Virgen. 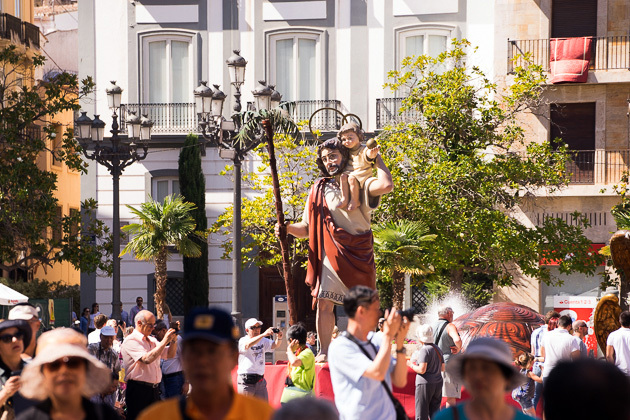 Compared with the action-packed parades earlier in the day, this one is decidedly low-key and more religious in nature. 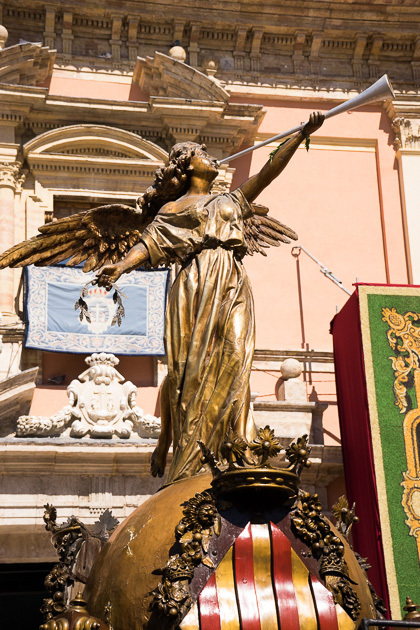 The Senyera, Valencia’s venerated and ancient flag, makes an appearance, along with a long retinue of characters from the Bible, as well as fantastical creatures. 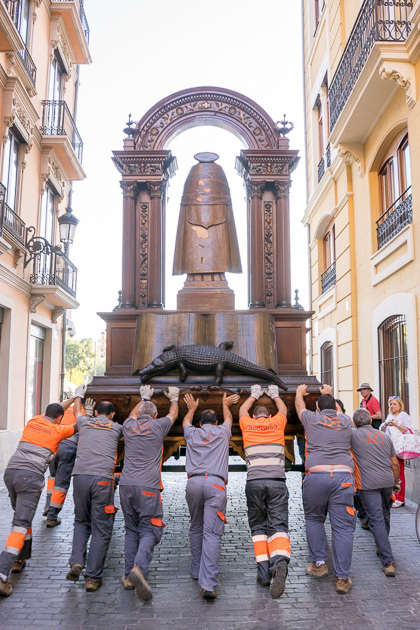 At the end, La Custodia appears. 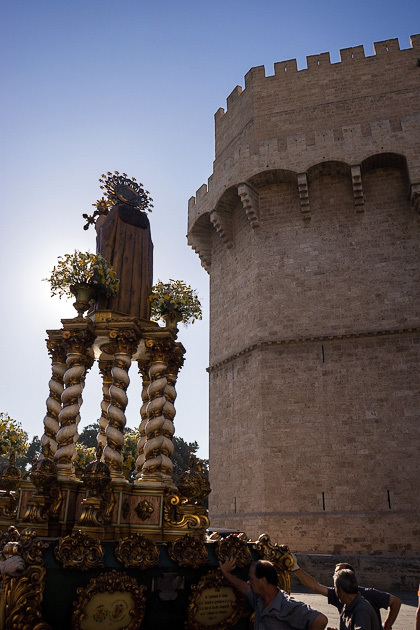 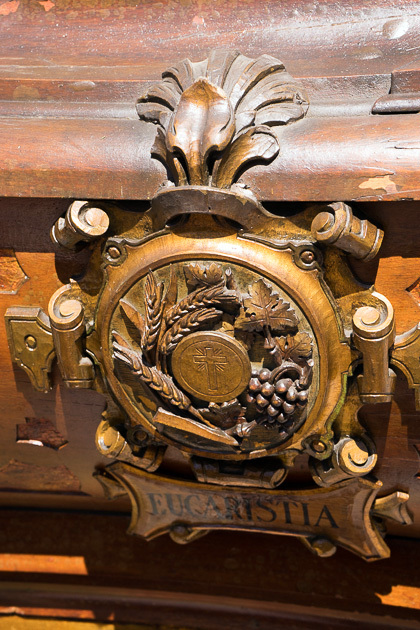 This is Valencia’s monstrance, a holy object normally kept in the cathedral. 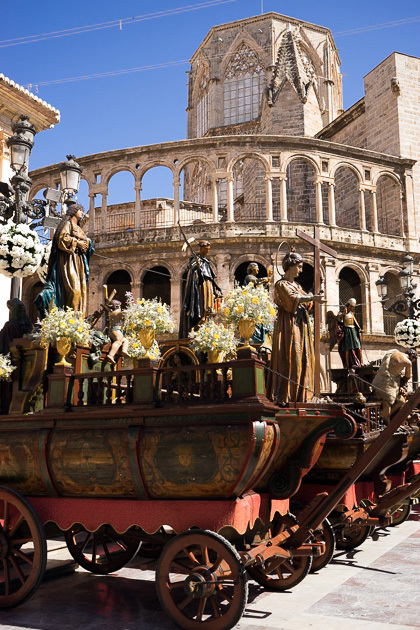 It is the largest monstrance in the world, and celebrated during the procession with a shower of rose petals. 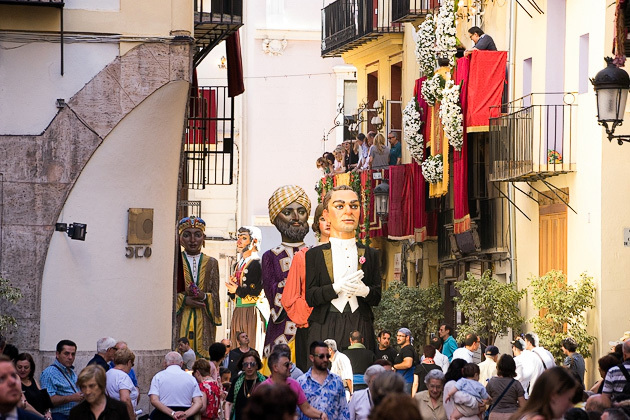 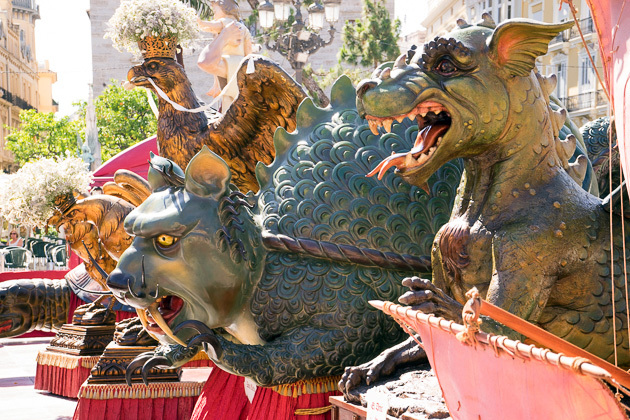 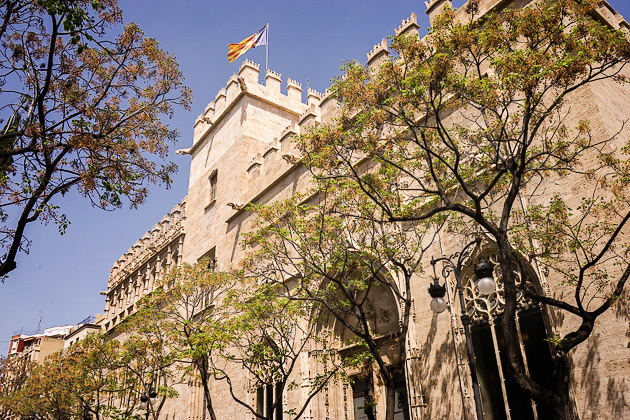 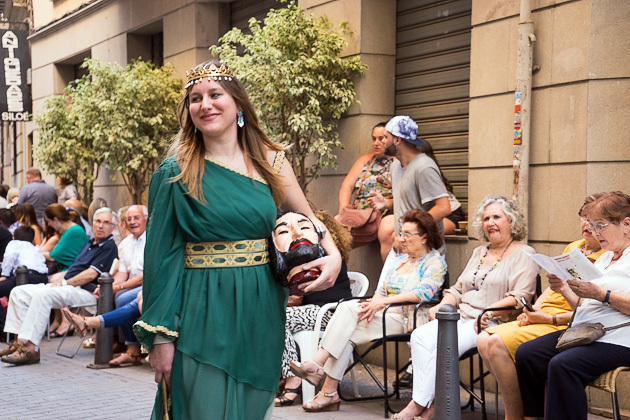 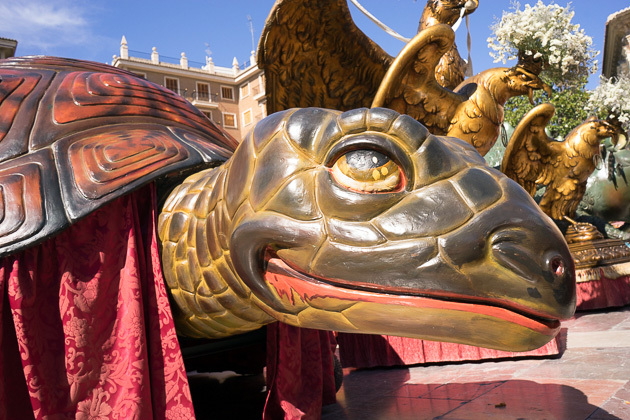 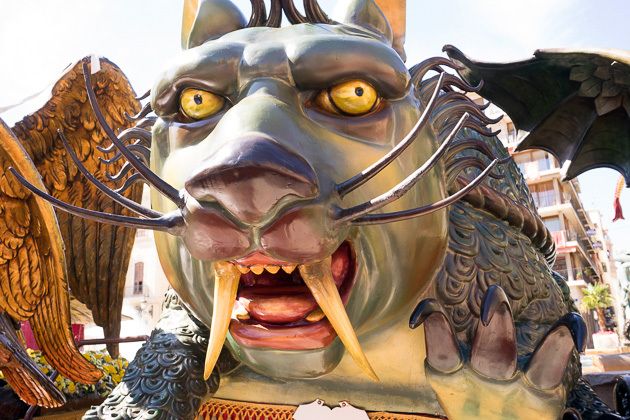 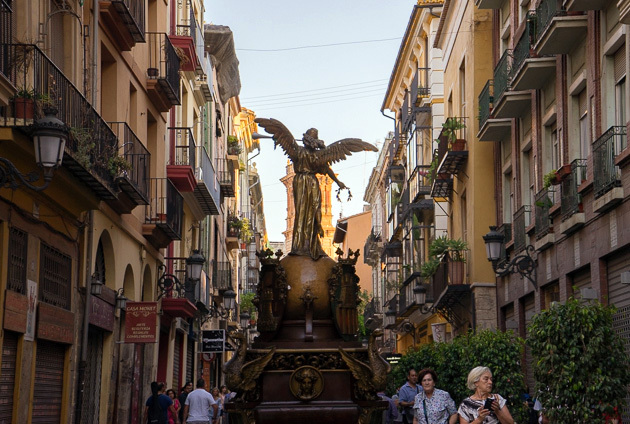 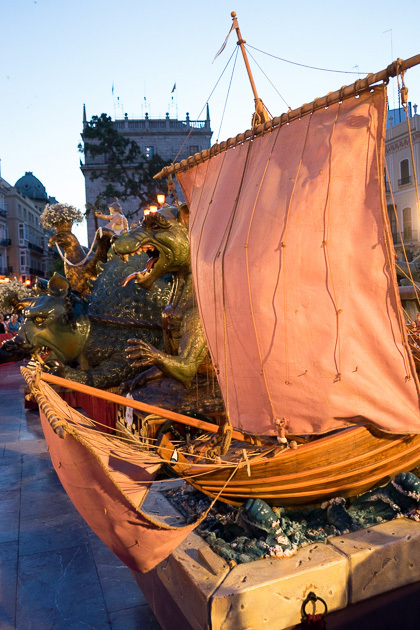 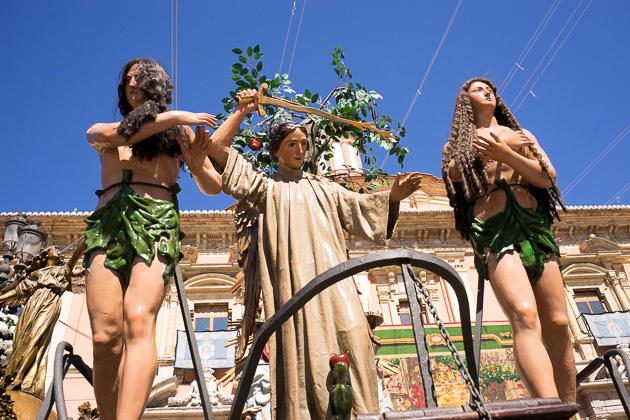 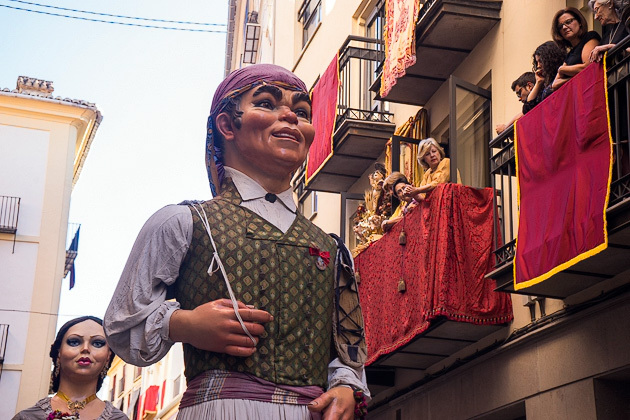 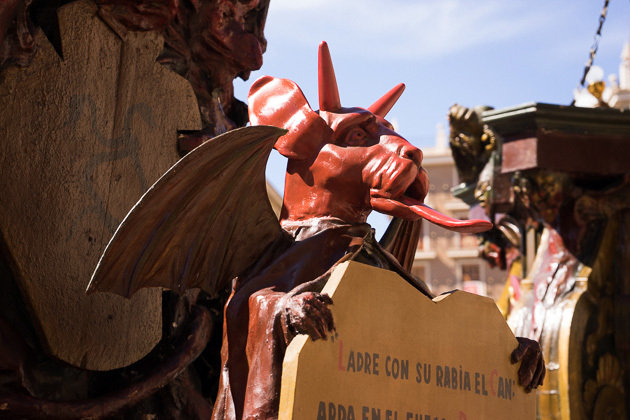 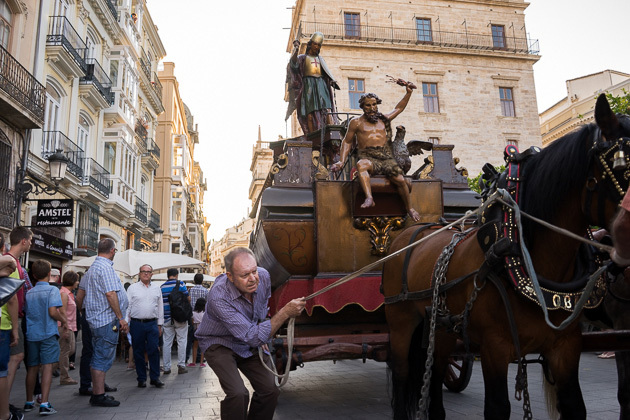 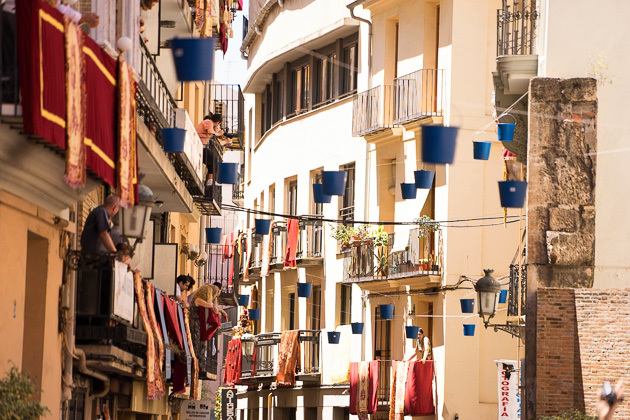 To experience this final parade like a Valencian, take a couple of plastic chairs from home, and set yourself up somewhere along the route; we suggest Calle Avellanas. 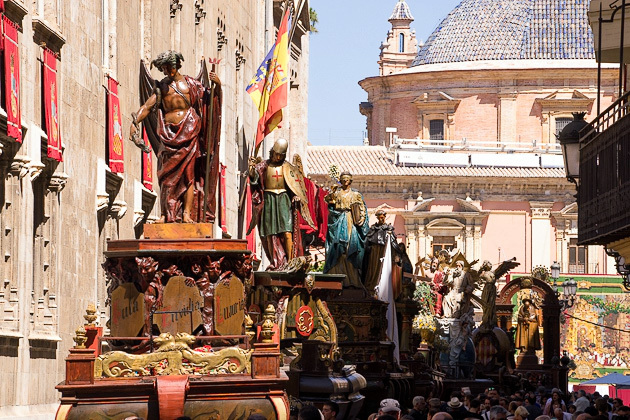 This is a long procession, and one best appreciated from a sitting position. 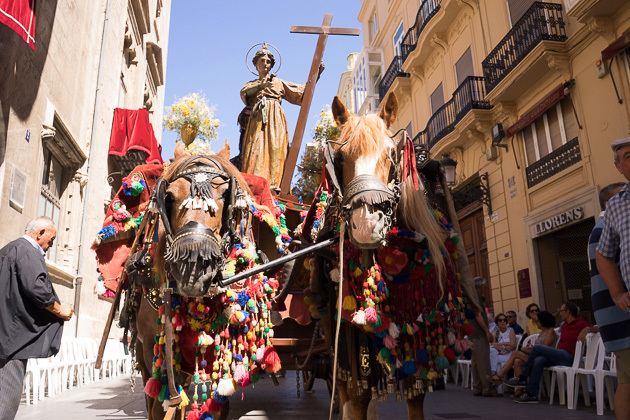 Corpus Christi in Valencia With a history reaching back to 1263, Corpus Christi is perhaps Valencia's oldest festival, and remains one of its most popular. 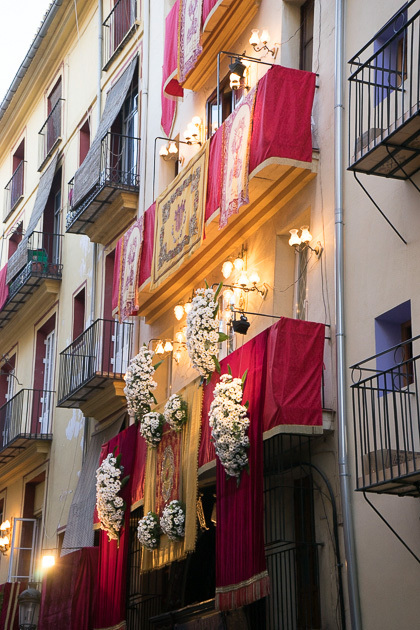 Occurring 60 days after Easter, the festival is held in honor of the Eucharist, but really it just provides another excuse for Valencians to get out on the street and have a good time.